It’s easy for us to say that we are quality roofing experts but don’t take our word for it! Read what our clients have said about our work in the past, with their testimonials. Feel free to submit your own roofing review or if you have any questions related to a specific job or type of work, contact us and we’ll be happy to assist. “I am writing this letter to show how much your relationship with Stor-All is appreciated. I wanted to thank you for your continued support of all our facilities located throughout the United States, and the different solutions in roofing. Your work is exceptionally good; your company has always performed in a professional and responsible manner. With our continued expansion you also have made us stay on budget and on time with the numerous new facilities. With re-roofs on existing full service Stor-All Storage Buildings our company has not lost a day of service or damage any goods during construction. Keeping our customers happy knowing their belongings are safe is our number one priority. In return this allows us to offer the most convenient way for customers to store their belongings and to compete in our industry. Thank you for this over 12 year relationship and hope many more prosperous years with you”. Thank you for always delivering as promised! “I am writing this letter to applaud Sun Catcher Roofing for a wonderful roofing job that they performed at Keith and Schnars, P.A. Our facility is comprised of two main buildings with over a hundred employees under these roofs totaling about 30,000 sq. ft. The facility remained fully operational during the re-roof with no interruptions. Considering the nature of our work this was very important to us. 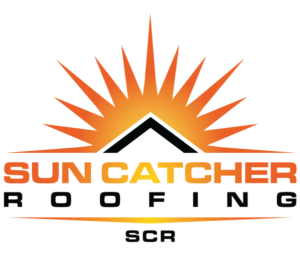 Sun Catcher Roofing was very polite and business like during the operation, as well as displaying great insight and knowledge of the different roofing systems available. They were thorough in their inspection and application of the roof, informing us of different solutions to help save money for cooling the buildings; in return we have seen a decrease in our energy bills. They were very careful during the operations to keep a neat work site to accommodate our clients. The roof has now been in place for almost three years and has left me completely satisfied with their work. “Sun Catcher Roofing did a wonderful job on my roof. It not only looks good but they did excellent carpentry work replacing rotted wood decking, fascia, extending my tongue-in-groove overhang and installing 2 inch insulation boards, all of which are not common construction in most South Florida homes. They took the extra time needed to approach these additional tasks with outstanding results. They also had the best price out of 5 bids and didn’t clobber me at the end with “additional costs”. “I’d like to commend you and your team for the quality work completed and the professional manner in which your team conducted themselves on my property. You were able to fix a leak problem we had for years and others tried to fix. Since your team has been here, it’s been over a year without a leak! I appreciate you, and your father Dave, taking a special interest in the job, providing me with pictures of the issue. “I’d like to say thank you, to you and your team for a great job on our roof. At our first meeting, when you took the time to explain the entire re-roof process to me, I knew then, that I’d be making the right decision hiring your company.